Hideo Kojima's popular Metal Gear Solid series is not the only set of video games beloved by his fans. There also exist a few other games which are just as unique in setting and deep in story. Two of these games are Zone of the Enders and its sequel, Zone of the Enders: The 2nd Runner. Zone of the Enders is known by many as “the game that came with the demo for Metal Gear Solid 2”. It helped boost sales of the game no doubt, but it's not a bad game by any means, or so the fans say. With the release of the HD version of the two games, as well as a patch that fixed framerate issues for the second game, now was the best time for me to experience these two Kojima classics firsthand. The first game, Zone of the Enders, puts you into the role of a kid called Leo. He lives on a space colony orbiting the planet Jupiter. Since the place is one of the farthest away from Earth, the colonists are referred to as “Enders”. Hence the game's name “Zone” of the Enders, since the game takes place entirely on that colony. The colony gets attacked by a group of terrorists and Leo is running for his live, when suddenly he ends up in the cockpit of a highly-advanced combat robot aka mecha (there are other robots in the game, but this one is the newest generation and therefore the strongest around). From there, the mecha's advisory AI helps Leo to escape from the colony. Telling you more about the story would destroy half the experience, so I'll leave it at that. Even so, the premise is rather intriguing: Amidst all the chaos, out of all people that could end up being the pilot for the mecha, it's a kid. A kid that refuses to kill its human opponents. A kid that insists of helping others, despite the fact that the AI insists it's not part of the mission. A kid that, until the bitter end, doesn't stop being a kid. But that's all there is to the story sadly. The game ends with a rather abrupt cliffhanger. You would think that there is still more to come, and that you've reached the halfpoint of the game, or at least have one more chapter to go. But the game ends, just like that. Being part of the HD Collection, you can play the second game right after this one. When you see both games as one big game, it makes more sense and feels more complete, and the cliffhanger feels more like the end of Season 1 of an anime and you can jump into Season 2 right away. But when you look at Zone of the Enders as a single game, it simply is too short. That in itself wouldn't be so bad, but it has next to zero replay value which lowers its value considerably. Aside from trying to reach a high rating for your playthrough or playing the game on a harder difficulty (both of which doesn't give you any in-game rewards), there is no reason to replay the game. But the game compensates its short length for a good story, good voice acting and good gameplay. The controls aren't complicated at all and become second nature really fast. Moving upward and downward, shooting, blocking, dashing, camera movement – it is all there and is easy to master. The game has a thorough tutorial at the beginning, but can be skipped if you so desire. Aside from a few boss battles which require a decent amount of dodging and patience, there are only three normal enemy types: Raptor (standard), Mummyhead (long-range) and Cyclops (melee). Raptors have attacks for both melee and long-range, but none of them are too threatening. The enemy type is like a brawler and fights you with his fists. Mummyheads can use some standard energy bullets and have a strong armor which makes destroying them very tough. Each enemy, as well as the player, have a level. The player can fight enemies and gain experience, thus increasing his level. Likewise, as the game progresses, enemies with higher levels appear which are smarter and have stronger attacks and defense. For instance, Mummyheads will use a laser beam later on which is a difficultto dodge. A Cyclops will dodge your melee attacks more often and eventually uses a strong, unblockable punch which is very damaging, so you have to strike fast and keep your distance most of the time. Even the Raptor can become a real threat with his energy ball attack. He tends to fire it at you even when you're close, so dodging becomes impossible and it takes away lots of health. Finally, stronger enemies will dodge and block your attacks more often overall. Your own long-range attacks aren't quite as effective against normal enemies and often rely on luck, as the enemy has to stand still for them to hit properly (you can use them efficiently, but it takes some training). You're left with melee attacks most of the time which makes the advanced attacks of the enemy types all that much more dangerous. There are optional weapons you can obtain which vary in effectiveness, but they give you a much better alternative to your ranged attacks. There even is a healing tool, but it appears only at specific times in specific locations. Healing isn't a problem in normal gameplay, but during a boss fight, this tool is your only way of healing. Overall, the gameplay is good while you play it. There isn't a ton of variety in it, but the game isn't all that long to begin with, so it works out well. Together with the story, it's a short but sweet experience. Well, so much for the first game, time to take a look at the second game. 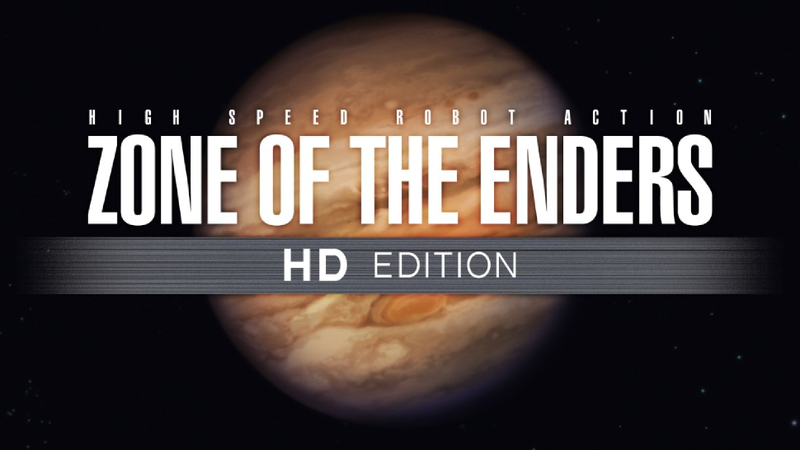 Zone of the Enders: The 2nd Runner picks up a few years after the first game. You've got a new protagonist, but the same old giant mech. This time around, things are heating up. In the first game, you were just an innocent bystander who defends a space colony from an enemy attack, defeat your nemesis and part ways. Now, all the background information that was only hinted at becomes evident in plain sight: There is a war going om between Earth and Mars and the superstrong mecha you controlled in the first game was the newest generation of war machines developed by Earth, and Mars wanted to steal it. Expect it's not really the Mars's forces we're talking about here. Through a series of events, the main military power of Mars fell into the hands of the military organization Bahram. They might seem to fight for Mars's independence, but instead are more ruthless than anything, and their leader has a far more sinister goal than just war. And things get personal. A lot. From a gameplay perspective, the game offers much more variety. There are more enemy types as well as bosses than in the first game, and the mission design also is a lot more varied than before. The optional weapons received an overhaul and are now more effective overall. For instance, remember the Lancer weapon from the first game which was utterly useless? It's gone. Halbert can now be aimed freely instead of being stuck. The grab ability has been made more valuable by allowing you to pick up metal plates, explosive barrels and enemies and use them as makeshift sword and shield. Best of all, they all use one and the same energy bar which means no more farming enemies just for ammunition. That also means that the more powerful weapons can end up using half your energy bar, but overall there's plenty of energy around. There also are some gamebreaking improvements that make things almost too easy. The Mummy shield from the first game (whose ammunition was rare) has now become an unbreakable shield. Nothing the enemy throws at you can break it, meaning it can save you from all mayor attacks if used well. Likewise, the Homing Missiles are almost too strong. Sure, they take away half your energy meter, but once you unlock unlimited energy as a New Game+ bonus, they'll destroy everything. You're gonna need these improvements, though, as The 2nd Runner is a lot harder than the first game. In Zone of the Enders, normal enemies rarely attacked you all at once and their attack patterns become predictable after a while. But here, they attack you fast and without mercy. Same goes for the bosses which no longer require you to just dodge enemy attacks and wait until the weak spot becomes, but instead demand some thinking and patience. Each boss fight require a unique strategy and you will use your various movements and weapons to their full extend. This is reflected in the way how intense the difficulties are this time around. Even on Hard mode, the first game was not all that difficult if you knew how to fight. But in the second game, I was already struggling with a normal enemy group 20 minutes into the game on Normal mode. I literally couldn't progress there no matter what. Do yourself a favor and play this game on Easy for your first playthrough. Despite all of this, the game is still rather short, but at least it has some nice New Game + bonuses. You can unlock an insanely-strong mecha with unlimited energy and very high base attack strength. Not only that, you can choose to have all optional weapons available from the start, and they won't be removed for story reasons anymore. This makes beating the game on higher difficulties more interesting/possible at all. What's more, there are special objects scattered all over the game which unlock special challenges (called Ex-Missions in the game) as well as two hidden boss fights which only become available after finishing the game at least once. Compared to the first game, The 2nd Runner offers a whole lot more replay value. It is evident that the first Zone of the Enders was more of a proof-of-concept game than anything else, and the sequel is the proper mecha fighting game experience. In the end, Zone of the Enders is an interesting series. There exist several popular mecha anime out there, but to find a mecha game with an original story is a rare thing. Although there exist an anime set in the Z.O.E. universe, the main story happens in these two games. To be able to actually play a decent 3D mecha fighting game must've been a revelation for many people back in 2001 when Zone of the Enders came out, which partly contributes to the reason why there is such a loyal fanbase. Being two games in one, the first game, albeit too short, is the perfect prologue and training for the second game, and the second game can get straight to the action as a result. Fundamentally, both games are good and worth the current price of the HD Collection.